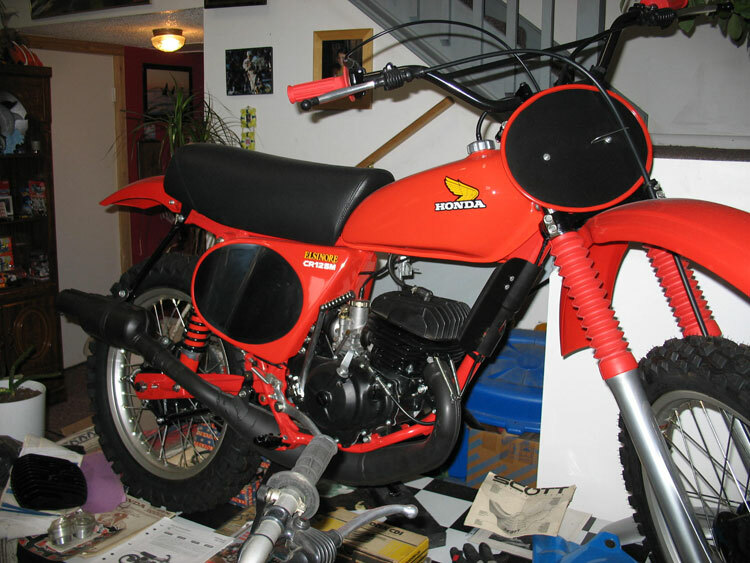 I bought this 1977 Honda CR125M right before my accident to race. I took it apart to race prep it and ended up doing an almost complete NOS correct resto to the bolt. This helped to keep me sane during the healing process.It has taken over 3 years to complete.It is like it has never been rode or gassed up. Below are shots of the completed restoration along with shots of the bike during the restoration.